Class action lawsuits have been filed in California, Indiana, and Oregon. Enlarge / An Intel CPU. 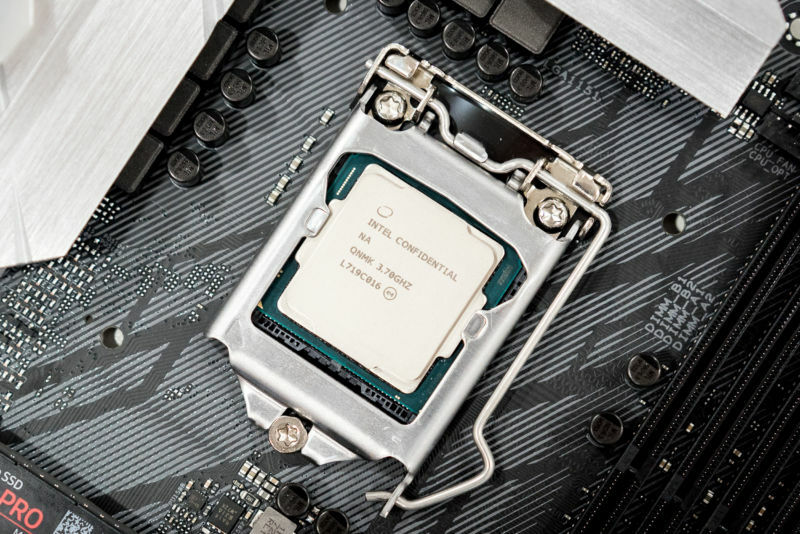 Three class action complaints have been filed against Intel over the Meltdown and Spectre CPU security flaws that were discovered by researchers earlier this year and widely publicized earlier this week. There has been speculation that the deployment of KPTI causes significant performance slowdowns. Performance can vary, as the impact of the KPTI mitigations depends on the rate of system calls made by an application. On most of our workloads, including our cloud infrastructure, we see negligible impact on performance. In our own testing, we have found that microbenchmarks can show an exaggerated impact. Of course, Google recommends thorough testing in your environment before deployment; we cannot guarantee any particular performance or operational impact. Either way, the costs for Intel after Meltdown and Spectre could be significant. The Guardian consulted sources such as Fort Pitt Capital Group analyst Kim Forrest to paint a picture of what Intel faces. Regardless of the outcome of these class action suits, the paper writes that Intel will likely find itself in a poor bargaining position with its cloud customers and other enterprise partners and that it will likely have to spend more heavily on security in the future. SAMUEL AXONBased in Los Angeles, Samuel is the Senior Reviews Editor at Ars Technica, where he covers Apple products, display technology, internal PC hardware, and more. He is a reformed media executive who has been writing about technology for 10 years at Ars Technica, Engadget, Mashable, PC World, and many others.